This is a guest blog post from Ryan Alexander Bloom. 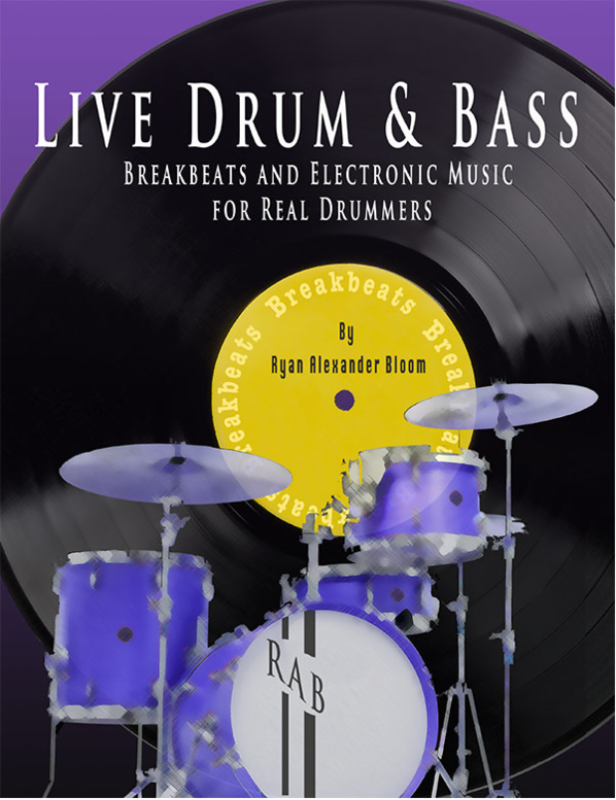 An interesting style of drumming that has become popular recently is live breakbeats or human drum ‘n’ bass music. Bands like Nerve and Shobaleader One have been on the cusp of the movement and players like Johnny Rabb and Jojo Mayer have been using their considerable chops and applying them to electronic sounding, yet still very acoustic, beats for decades. Playing in this style can be a lot of fun because it is improvisational like jazz, technical and chops heavy like metal or prog, and very flashy with a prominent and featured drum part. The hi-hat or ride cymbal can be used with any of these steps. We can also change the value of the cymbal pattern from 8ths to quarters to change the feel. Try to work these basic beats up to at least 160bpm if not higher for an authentic sound. For slower tempos, more cymbals keep up the energy level. 16ths would be the next logical step. For a layered texture, add in hi hat with your foot. Drum machines can play lots of notes simultaneously, so layering in another cymbal pattern helps keep up the illusion of a programmed beat.